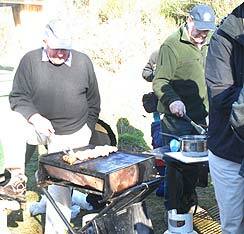 North Canterbury Fish & Game Montrose Hatchery on the Rakaia River – 13 July 2008. Montrose is located on the south bank of the Rakaia River approximately 6 km upstream from the Rakaia Gorge Bridge on SH72. 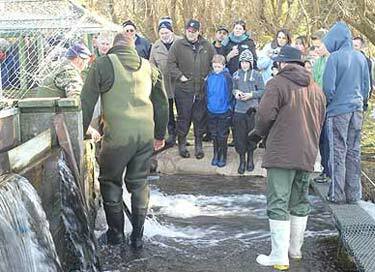 Montrose hatchery manager Dirk Barr (right) during the recent Open Day. 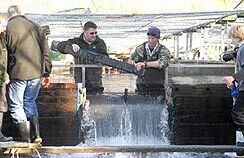 Canterbury salmon anglers will be disappointed to hear that the Montrose hatchery was badly damaged in the Christchurch earthquake. 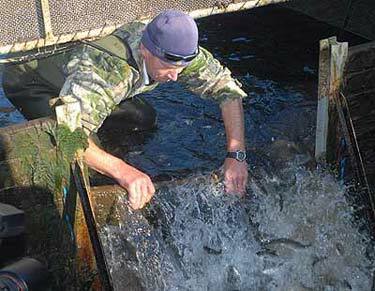 Hatchery manager Dirk Barr said, in a report in the Christchurch Press, on 14 September 2010, that 20,000 small salmon were killed after being thrown from their troughs at Montrose. 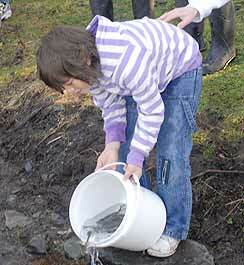 Another 150,000 salmon escaped into a creek after the concrete raceway was split by the earthquake. 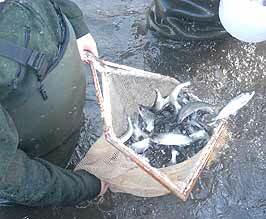 These salmon were to be released next July. 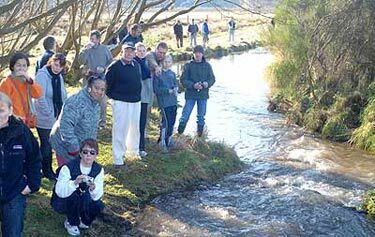 A further 40,000 rainbow trout also escaped into the creek which runs into the Rakaia River . 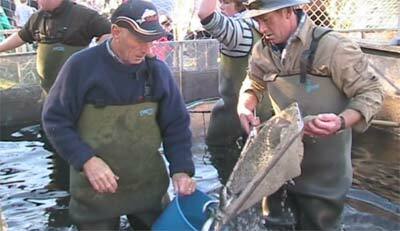 Dirk Barr said that the salmon were too small to be released and that they were unlikely to survive. 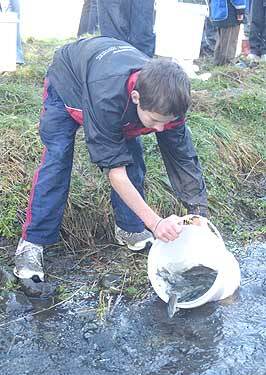 Barr expected the salmon would be washed out to sea. 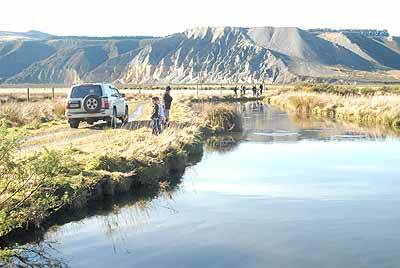 The “early release” of rainbow trout into the Rakaia River could be a welcome bonus for anglers, but would mean the 12 North Canterbury lakes usually stocked with rainbow trout would miss out. 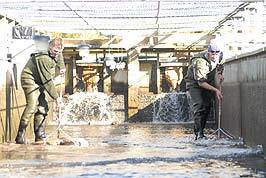 Barr said that despite the losses he was comfortable with Fish and Game’s stock levels.